A companion bill, H.R. 3189, has already passed the House of Representatives, so we need your help now! S. 1630’s stated intent is to help resolve a narrow conflict over water rights between the U.S. Forest Service and Colorado’s ski industry. 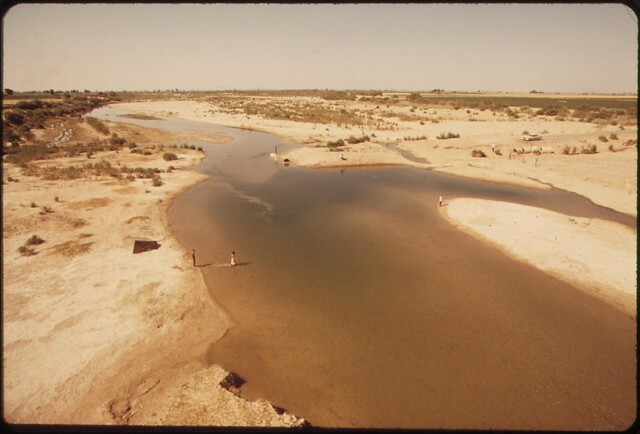 However, as currently drafted, the bill would have serious implications for water management across the country and undermine efforts to improve the health of the nation’s rivers and public lands, including National Parks, National Forests, and National Wildlife Refuges. S. 1630 would prohibit agencies from requiring conditions that “impair” any water rights. This would greatly inhibit the ability of Department of Interior and Department of Agriculture to protect rivers, wildlife, and public lands. The bill would also weaken federal laws that allow agencies to place conditions on permits or licenses that would keep water in rivers to support struggling fish and wildlife, or protect instream recreation. It could also preempt state laws that allow the Forest Service to require water diverters to leave some water in a stream on Forest Service land, or stop the U.S. Fish and Wildlife Service from requiring flows that attract fish to fish ladders so that they can safely pass over dams. WaterWatch and our conservation allies around the country have already come out strongly in opposition to this bill. Please help us get the message across, and take a moment to contact Senators Wyden and Merkley to urge them to oppose S. 1630! 313 Hart Senate Office Bldg. As an Oregonian who loves our state’s rivers and public lands, I am writing to ask you to oppose S. 1630, the “Water Rights Protection Act.” Conservation groups around the country have already come out strongly against this bill. S. 1630’s stated intent is to help resolve a conflict over water rights between the U.S. Forest Service and Colorado’s ski industry. However, as currently drafted, the bill would have serious implications for water management across the country and undermine efforts to improve the health of the nation’s rivers and public lands, including National Parks, National Forests, and National Wildlife Refuges. For all these reasons, I ask you to please oppose S. 1630. Hey….Happy Birthday Jay!!!!!! Have a great fish today. All the best….here’s to another 20.